The first new items for 'The Unknown Warrior' to be completed during 2012 were six driving wheel springs. These were made from new by Owen Springs of Rotherham. They were assembeld with 14 separate leaves. The last of the six springs was assembled at Rotherham on 9th January. The springs will be delivered to the Llangollen Railway Works and fitted to the driving wheelsets once completed. Four frame stretchers were delivered to the Llangollen Railway Works during December 2011 and are awaiting fitting to the frames of 'The Unknown Warrior'. The stretchers which were cast from new patterns made by Eddie Mocraft at the Boro Foundry, were machined before delivery to Llangollen. The four stretchers arrived at Llangollen in protective plastic sheeting. The stretchers will be fitted between the frame plates of 'The Unknown Warrior' to enable a rigid assembly to be built. New drawings for the fifth stretcher are being completed. 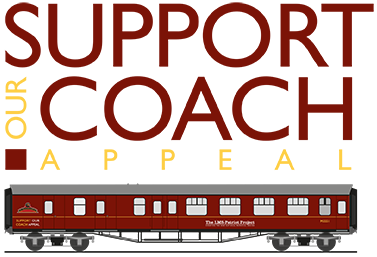 The LMS-Patriot Project has acquired a set of genuine LMS buffers for 'The Unknown Warrior'. Two of the Buffers will be used on the loco which is being assembled at the Llangollen Railway Works and the other two are suitable for the ex Barry scrapyard Fowler tender which was dismantled at Barry Rail Centre, in South Wales.